Is using electricity almost exclusively for all energy needs – such as transportation, home heating and industry uses – really a key part of the global warming solution? Well, it absolutely is. Of course it’s critical to decarbonize the grid with wind and solar and other renewables as part of the process, but dramatically shifting energy uses to electricity, while also making them more efficient, is indeed a key part of deep carbon reduction. NEEP recently organized a Strategic Electrification Summit to help give this somewhat-neglected aspect of carbon reduction a larger hearing. NEEP gathered 100 activists, state officials, and business representatives at the end of June to unveil a new report on strategic electrification and to begin developing an action plan to make electrification real in the Northeast. 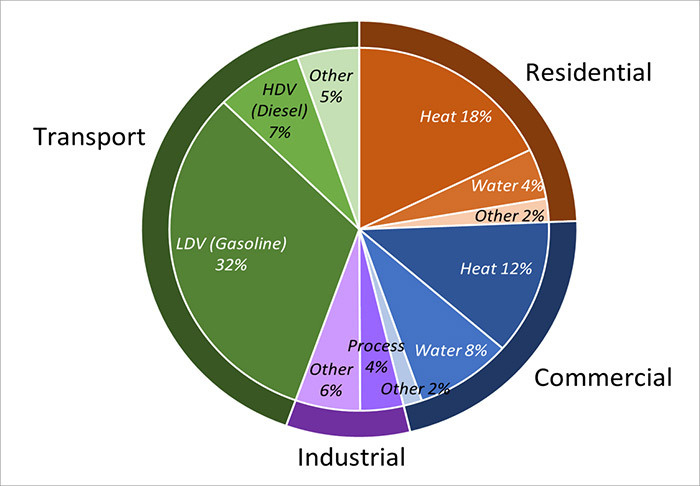 Most electrification will occur through very large shifts to just a few electric technologies like electric vehicles (the most familiar) and variations of air source heat pumps for heating and water heaters. Right now, each of these technologies is poking along in the market at about one percent of sales. The $100,000 question is how can we get these technologies to dominate the market, and how long will it take? Electrification is not new. Just a few generations ago, most people in the United States heated with coal or wood, bought blocks of ice to keep their food cold, and burned whale oil (among other options) to provide lighting. 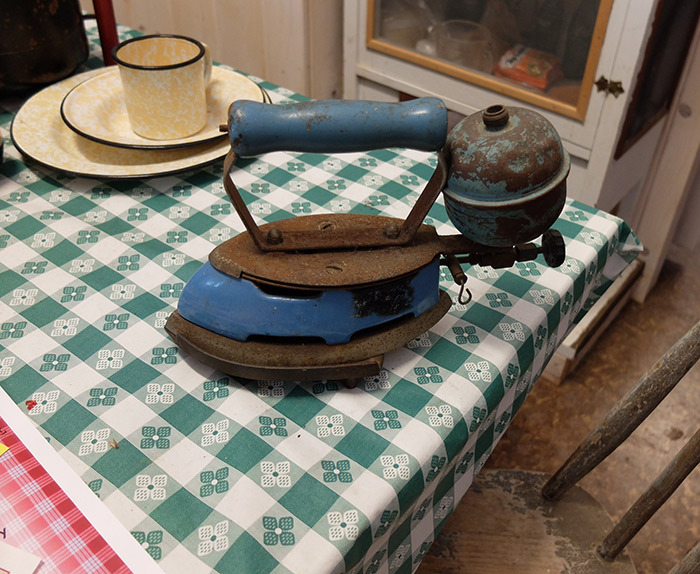 On a recent visit to a tiny museum in Hawaii, I was introduced to gas-powered clothes irons. I couldn't believe that people used to have an open flame a few inches from their hand and maybe a foot from their nose while doing a basic household chore. (Oh wait a second, some guy with a gasoline-powered leaf blower strapped to his back just fired up at my neighbor’s house and I can't think over the noise. On second thought, maybe we have not yet advanced as far as we think we have). Throughout history, electricity and electricity-powered technologies have changed our daily lives in very fundamental ways. It's about to happen again. This time, we need it to happen rapidly so that our reliance on carbon-based fuels is dramatically reduced. A recent report from Bloomberg New Energy Finance says that electric cars will be at cost parity for initial purchase price with internal combustion driven cars by 2025. Electric vehicles are already cheaper to operate and maintain (and smoother, quieter, and more convenient). America likes cheaper. First cost reductions will be a huge step in electric vehicles becoming much more popular. The multiple benefits of strategic electrification are really a key selling point. First, we can wean ourselves off foreign oil – first attempted by the Nixon administration, and a national security issue for our country ever since. Second, we can have cleaner air (and water and soil) by not putting combustion by-products into our air, including the air in our homes. Third, we can create more local jobs and a stronger local economy through keeping energy dollars in communities, through building local renewable energy resources, or getting a piece of the new economy around controls and building/vehicle intelligence, for example. Switching the fuels we use every day seems like a big deal, but if the costs are competitive and it's cleaner and more convenient, it might be pretty easy. The tough part is getting all of these unfamiliar technologies accepted in the marketplace, which is where we need initiatives to help build the market. NEEP is currently working on a five year action plan to kick the electrification market into a higher gear. We need to very aggressively ramp up these new technologies of electric vehicles and heat pumps, which are themselves also rapidly changing to better meet consumer needs. A critical step is including all of the possible benefits (lower pollution, more convenience, less noise, local jobs, improved national security, and so on) as we put the pieces together. Please take a look at our assessment report and action plan on strategic electrification as these roll out in the next few weeks. Electrification will change how we live our lives every day. For the easier and better. A generation from now, we will talk about how annoying it was to spill gasoline on our shoes as we made a hasty pit stop to refuel en route to a meeting. Instead, in our strategically-electrified future, our electric car would have very cheaply recharged our battery overnight.